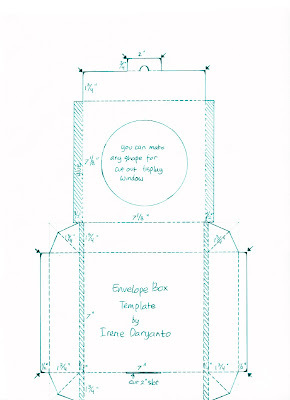 Welcome to the Magnolia BLOG HOP sponsored by Magnolia Rubberstamps Sweden and Craft Heaven Shop. If you came here from Maki you are on the right track. 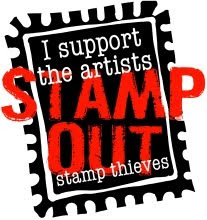 If you've just happen upon my blog, you can CLICK HERE to start from the beginning at lovely Debbie's blog. 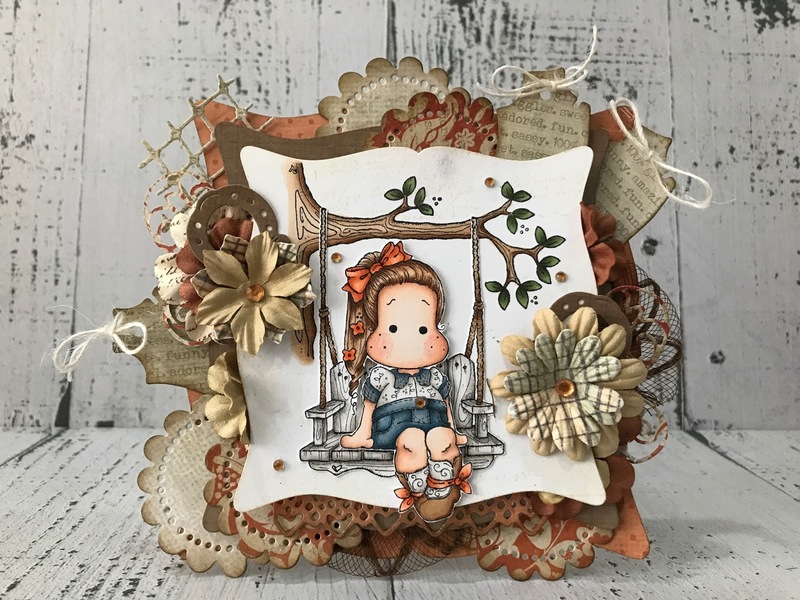 Now I want to show you a card I have made with the brand new stamps from the Country Girl Collection 2017. 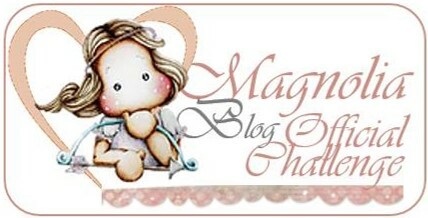 Magnolia will give one of you who leave a comment on every blog in the hop a lovely surprise. So keep on hopping and leave some love along the way. I love the colours you've used on this beautiful card! Tilda is just adorable in her swing! What a beautiful card, it gives me an autumn feeling...gorgeous! Its such a beautiful card! and the colors are just perfect for upcoming autumn and harvest season! Beautiful colours! It is so Much oktober for me, with all the Beautiful colours you have used! Great shapes And dies you have used. And your colouring matches so well! Irene, this is so lovely and you chose from my favorite collection. The fall feel to it is wonderful and your coloring is gorgeous. LOVE IT! 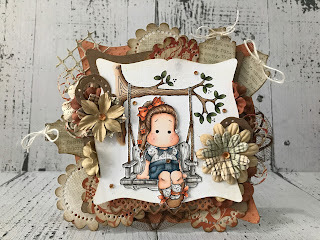 Love the fabulous earth tones you've used on your card Irene, beautiful layering and colouring. Such lovely Autumnal colours. I love your card. With Fall coming, you are ahead of the game! Tilda is precious on her swing. She looks like she is ready for school to start. All of the goodies you've tucked here and there are perfect with the layers. I love it. Congrats! The colours of your card até Very harmonious. Love the flowers and tags! Hello dear ... you know how much I love your copic coloring, and this one ... awesome!!! AMAZING Layout Irene, your card is beyond beautiful in every way!!!! These are exactly my colors! The scene is great, great design! I love your card and the colours used. Such a sweet fall card - love it! Your card is absolutely adorable. I love the details and the already autumnal flair! Stunning! So beautiful card of autumn light.